A Federal High Court has reportedly compelled the Independent National Electoral Commission to include Bayelsa units in the supplementary poll. 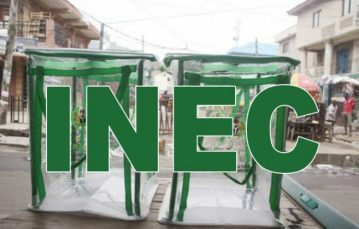 The Nation reports that the Federal High Court sitting in Yenagoa, Bayelsa State, has ordered the Independent National Electoral Commission (INEC) to include omitted units in supplementary election scheduled on Saturday for Brass Constituency 1. The court presided over by Justice E. Inyang made the order in a motion ex parte filed by Preye Brodrick and the Peoples Democratic Party (PDP) against INEC. The court ruled that INEC should conduct supplementary elections in polling units 11-16; units 1-10 and 17 to 21 of Ward 6 in Brass Constituency 1 of the state on March 23 or any other day determined by the defendant (INEC). On grounds for the application, the plaintiff had told the court that elections did not hold in the affected units in line with the guidelines of INEC. The plaintiff said: “Elections did not hold in units 1-10 and units 17-21 of Ward 6 of Brass Constituency 1 in the Bayelsa State House of Assembly elections which held on March 9, 2019. “By the regulations and guidelines for the conduct of the elections in 2019, the elections are deemed to be postponed and supplementary elections ought to be conducted in the said units. It is in the interest of justice to grant the prayers sought”. The court upheld all the grounds while making the order.